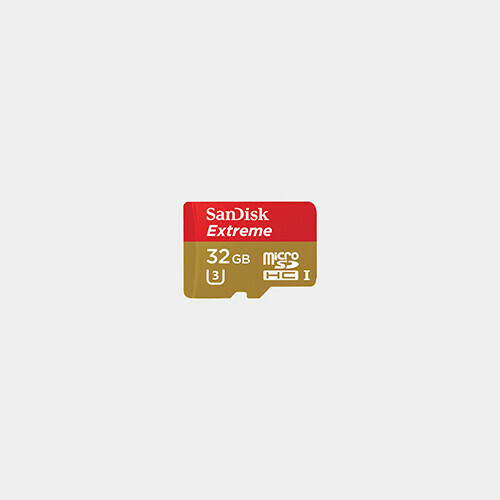 Take your data storage to the extreme with the Speed Class 3 compatible Class 10 compliant 32GB Extreme UHS-I microSDHC Memory Card from SanDisk. SanDisk has managed to push the limits of data transfer rates and recording ability with this microSD memory card. Speed Class 3 compatibility allows you to shoot photos in continuous burst mode, and record Full HD, and 4K Ultra HD video. Data read speeds of up to 60 MB/s and write speeds of up to 40 MB/s greatly enhances your workflow while the included SD adapter allows the microSD card to be placed into devices supporting SD, SDHC, and SDXC memory cards.